Flying Colours Corp has completed its 100th major retrofit on the Bombardier Challenger platform. 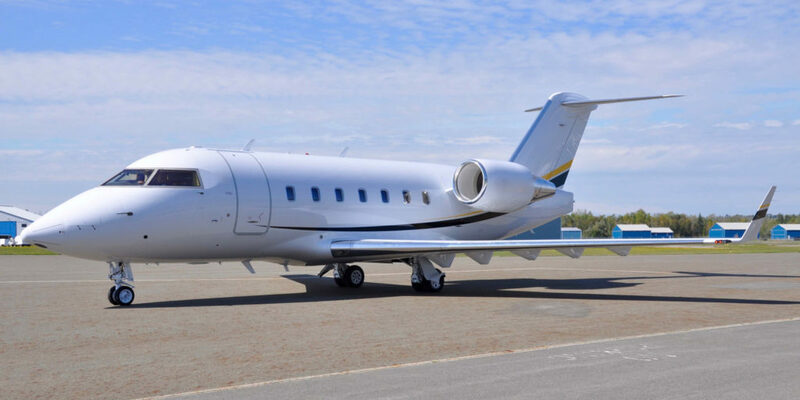 The company overhauled the Challenger 604’s cabin, avionics, connectivity and fuselage, re-delivering the aircraft in the first week of October 2018. The work was conducted at the company’s headquarters in Peterborough, Ontario, Canada, in conjunction with minor maintenance. The company had performed a 96-month check on the aircraft just over a year ago, for its former owner. 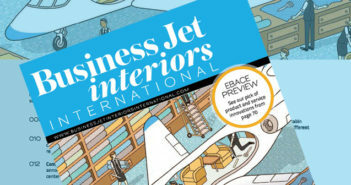 The new owner and current operator worked with Flying Colours Corp’s design team on the new interior, which has a black and gold palette and a contemporary style. 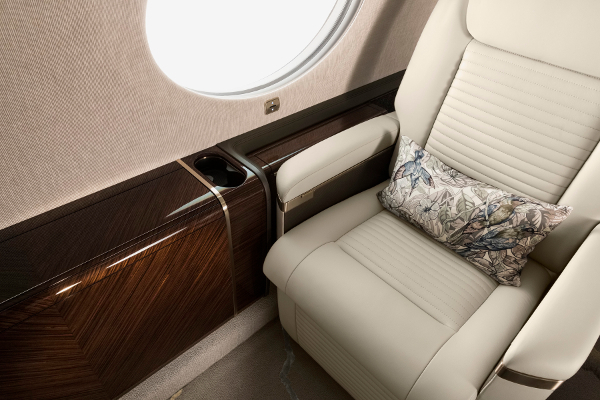 To improve seat comfort, Flying Colours Corp adapted Challenger 650-style seat frames, supplied by Rockwell Collins – Interior Systems, adding molded armrests. There are six reclining seats and a three-place divan. All are upholstered in black leather with a perforated insert, beige leather accent panels, and a contrasting seam stitch trim. Light trims, control panels and buckles are finished in matt gold, while sideledges, panels and doors feature a gloss anigre veneer, and fold-out tables feature a matt-gold inlay accent. Technological updates included the installation of Gogo’s Avance L3 air-to-ground connectivity system, which enables wi-fi access for voice, email, web browsing, moving maps and movies and TV programs across North America. Rockwell Collins’s Venue system provides IFE – new monitors were installed at the front and aft of the cabin. CMS functions are available through touchscreen displays – but passengers and crew can also adjust lighting, temperature and entertainment options, and view Airshow moving maps, from PEDs. The refreshed galley includes a new TIA microwave and custom coffee maker. Other improvements include the installation of Rockwell Collins’s Future Airspace Navigation System (FANS) 1/A and ADS-B Out tracking equipment. The exterior paint was also updated to reflect the colors used in the cabin. “The brief from the owner was to deliver an as-new aircraft, which is what we did,” said Sean Gillespie, executive vice president at Flying Colours Corp.
“Our design house created a stunning interior, our avionics team upgraded the flight deck and connectivity and our interiors team installed the beautiful new seats and monuments. The owner was upgrading aircraft size and recognized the value in buying a pre-owned jet and customizing it to his style and needs.